The world is drowning in cash–and it’s making us poorer and less safe. 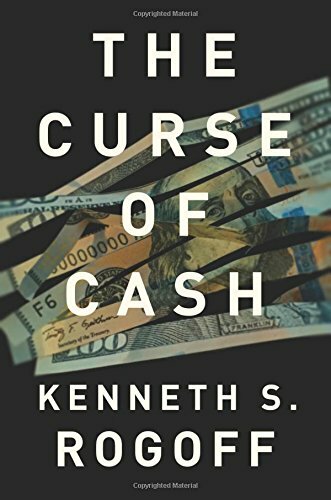 In The Curse of Cash, Kenneth Rogoff, one of the world’s leading economists, makes a persuasive and fascinating case for an idea that until recently would have seemed outlandish: getting rid of most paper money. Even as people in advanced economies are using less paper money, there is more cash in circulation–a record $1.4 trillion in U.S. dollars alone, or $4,200 for every American, mostly in $100 bills. And the United States is hardly exceptional. So what is all that cash being used for? The answer is simple: a large part is feeding tax evasion, corruption, terrorism, the drug trade, human trafficking, and the rest of a massive global underground economy. The Curse of Cash offers a plan for phasing out most paper money–while leaving small-denomination bills and coins in circulation indefinitely–and addresses the issues the transition will pose, ranging from fears about privacy and price stability to the need to provide subsidized debit cards for the poor. This entry was posted in Books and tagged economist, kenneth rogoff, the curse of cash. Bookmark the permalink.